Researchers at Rockefeller University will be making breakthroughs in a brand new building, the Kavil Neural Systems Institute. Just last month, we found out about a recent $20 million endowment, supported equally by the Kavil Foundation and Rockefeller University, that will help fund the new research building. The Rockefeller researchers in the new Neuroscience Institute will need new tools for their research. Last year, vendors at this event saw close to 350 attendees, of whom 23% were professors, post docs, and purchasing agents. Contact Biotechnology Calendar, Inc. today if you would like to reserve a space for your company and help fill this new research building with the newest laboratory products and equipment. P.S. 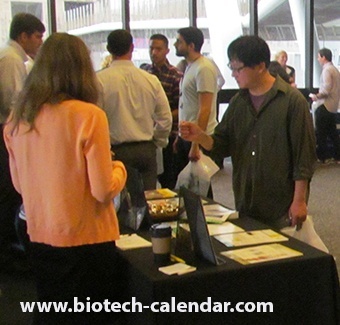 While you’re in New York, consider exhibiting at the Mount Sinai University research marketplace BioResearch Product Faire™ event happening the same week on 3/23/16.